From The New Criterion. May 31, 2013. A few weeks ago a Conservative-led government but with all-party support formally put an end to more than three centuries of freedom of the press in Britain. This hard-won liberty has often proved an inspiration to the world, not least to our own Founding Fathers, yet its disappearance barely made the papers on this side of the Atlantic. Perhaps because we already have an informal kind of press regulation here in the form of a media establishment empowered to enforce a broad uniformity, if not quite unanimity, of opinion on its members, it didn’t look like much of an additional step for the British to have set up a formal, legal mechanism to rein in any journalists who might be thought to be causing trouble. A New York Times editorial honorably praised "Britain’s vibrant free press" and opposed regulation on the grounds that it "would do more harm than good" in stifling independent investigation into public abuses, but it didn’t sound to me as if the paper’s heart was in it. Certainly the editorialist had a hard time summoning up even a tithe of the outrage which that page routinely evinces about cis-Atlantic Republicans. A day after British lawmakers agreed to ground rules for a new press code, an array of newspapers protested on Tuesday against the attempt to impose stricter curbs on this country’s scoop-driven dailies following the phone hacking scandal that convulsed Rupert Murdoch’s media empire and much of British public life. Of course, the American Times’s own "scoop-driven" days are presumably gone with the competition which more or less disappeared from New York in the 1960s but which still exists in London. One senses the high-mindedness with which the Grey Lady is thus able to look down her nose at her less fortunate British brethren, still dusty and bedraggled from the roughhouse competition of the London news market, as if to say that there would be no need for the government to step in if things were as well-managed there as they are here — where, with every passing year, the frontiers of respectable opinion draw in further towards consensus without any need for legal formalization. To be fair, there were not many in Britain itself who were inclined to make much of a fuss about the matter. The Leveson Commission, appointed by the Prime Minister, David Cameron, to show his willingness to "do something" about the phone hacking scandal of the tabloid News of the World two years ago, had months ago issued its recommendation for a statutory body independent both of the press and the government to keep a rein on Britain’s famously naughty, "scoop-driven" journalists. 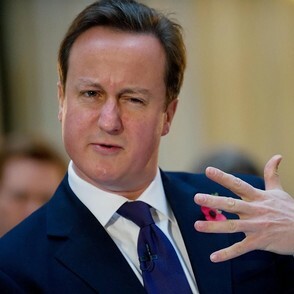 Mr Cameron himself had loudly proclaimed his opposition to any such measure as an infringement of press freedom, but he belatedly realized that he hadn’t got the votes in Parliament to stop it. Not only Labour and his coalition partner Liberal-Democrats were in favor of "Leveson in full," but even some of his own Tory MPs would have opposed him had it come to that. 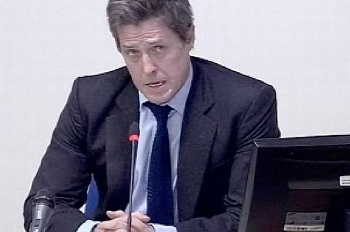 Instead, at the last minute and in the dead of night, members of the three major parliamentary parties met with a delegation from Hacked Off, a pro-regulation pressure group associated with the actor Hugh Grant, in the office of the leader of the Labour opposition, Mr "Ed" Miliband. No representatives of the media were present. Mr Cameron sent his close adviser Oliver Letwin, who proposed a deal to replace the media’s self-regulatory Press Complaints Commission with a new, independent body to be set up not by statute but by Royal Charter — that is, officially, not by the Queen in Parliament, as normal laws are said to be, but by the Queen in (Privy) Council — as a face-saving measure to aid Mr Cameron in his climb-down. But a "statutory underpinning" was also provided for the new Royal Charter in order to prevent it from being changed except by a two-thirds majority of Parliament, and few supposed that the result differed in any practical or important respect from a straightforward regulatory statute. Newspapers will still, in theory, be allowed to opt out of membership in the new body, which will have the power to order them to print prominent retractions or apologies even where they continue to insist they have got the story right. Several have proclaimed their intention of doing so. But another change to the law allows courts to impose "exemplary damages" on those they consider to be guilty of inaccurate reporting if they have not signed on to the chartered body. At the time of writing it is not yet clear to what extent, if any, independent bloggers and others associated with "a website containing news-related material (whether or not related to a newspaper or magazine)" will be subject to the same restrictions, though that was the original language of the draft Royal Charter and would presumably apply to almost anyone writing or speaking about public affairs as such writing and speaking is done these days. As The New York Times reported, several newspapers made their displeasure known in their own columns, if nowhere else, but public outrage about the new regulation was pretty much limited to the prospective regulatees themselves. The Parliamentary vote in favor of the "statutory underpinning" for government-managed media was 530-13. Moreover, a You-Gov poll for The Sunday Times showed 52 per cent in favor of regulation and only 23 per cent opposed. One interesting finding of this poll was that only 40 per cent think that government regulation will "work" to stop the kind of things — phone hacking by tabloid reporters and suchlike abuses — that caused the government’s appointment of the Leveson commission that, in turn, issued the recommendations for press control by law that the new measure is meant to conform with. Thirty-seven per cent think it will not. I don’t know if such a poll has ever been done with respect to gun control in America, but I would expect there to be a similar discrepancy in the results. That is, more people are likely to be in favor of any particular restriction on other people’s freedom than are likely to think it will do any good. That, after all, is the assumption under which both kinds of regulation have been embarked upon in the first place. None of the proposed legal innovations to inconvenience gun-owners in this country — background checks, a ban on "assault weapons," a limitation on magazine size — would have prevented the massacre of schoolchildren in Newtown, Connecticut, which inspired (if that is the right word) politicians to propose these things. They wouldn’t have proposed them, presumably, if they thought anyone except the targeted minorities were likely to mind about such illogicality. In the same way, the phone hacking which created Leveson which created the all-party agreement in Britain was already illegal. The chilling effect now to be produced by the new regulatory body is sure to be felt by the responsible and law-abiding media; it is much less certain to be noticed by those who have little respect for the law anyway. This must be evident to more than just the 23 per cent who oppose the measure. Which is to say that significant numbers of people recognize a mere gesture when they see one but don’t care that it is only a gesture. To understand this, we should reflect on why the gesture was made in the first place. More than anything else, politicians fear the epithet "uncaring" or "out of touch." The scandal-culture of the media has long since identified this as the fatal flaw in anyone who seeks public office with an insufficient store of "compassion." Therefore, when bad things happen in a democratically-run country, those who run it must be seen to do something, to respond to the tragedy or the outrage in such a way as to show that they care about it. Actually doing something that accomplishes anything and doesn’t make the problem worse is much less important than this demonstration that they feel about it in the right way, and with the right amount of empathy for life’s victims. The absurdities into which our political classes are led by this categorical media imperative were also on display, also in Britain, when Assistant Chief Constable Garry Shewan of Greater Manchester announced that "Goths, emos, punks and metallers," among young people whose dress or appearance is supposed to affiliate them to certain "lifestyle" tendencies in popular music, were henceforth to be added to the list of protected groups under legislation designed to prevent "hate crimes." Said Mr Shewan, "People who wish to express their alternative sub-culture identity freely should not have to tolerate hate crime." Is it a corollary, then, that people who don’t wish to express their alternative sub-culture identity freely should have to tolerate hate crime? Or that the Goths and punks should have to tolerate crime so long as it is not motivated by hate? Is hate itself a crime? Or, since most crime involves hostility if not hate, how do you measure the degree of hate in a crime necessary to qualify it as a hate crime? Neither the police nor, I’m guessing, the Goths and punks themselves are much interested in sorting out such incoherence. The main thing is that a 20-year-old Goth, or perhaps emo, named Sophie Lancaster was murdered in a Manchester area park in 2007 in a crime described by the judge at the trial of her attackers as having been motivated by hate — and that something has now been done by the authorities to demonstrate that they care about it. Of course, the Goths and the emos and the punks and the metallers originally set out deliberately to outrage public decency, as it once existed, with outlandish haircuts and hair-colors, make-up, tattoos and piercings and a style of dress that would, even today, prevent them from being hired for any but the most menial jobs. Now, however, it is to decency that they appeal for their protection, but decency re-defined to mean not outward conformity to social and cultural norms — that’s one thing that it is still OK to hate — but a limitless tolerance for those who can claim to be victims of discrimination by the majority from whom they thus preserve their right to independence. The media have long been in the forefront of those seeking to redefine decency along some such lines as these, though with much more unanimity in America than in Britain. It would be hard to think of an American paper that would have dared to commit a borderline hate crime as the London Daily Mail did at the beginning of April. 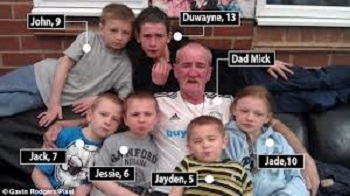 Then, a certain Mr Mick Philpott, the recipient of government benefits variously said to total between £60,000 and £100,000 per annum in recognition of his having fathered seventeen children by five different women, was convicted of murdering six of these children after burning down his state-supplied house in order (it is thought) to be supplied with a still larger one. "Vile Product of Welfare UK," headlined the Mail over a group portrait of Mick in happier days, looking not altogether unlike an ageing punk himself, with the six children he was soon to kill. I hasten to add that I myself do not wish to be numbered among those, if there are any, in this country who would in any way condone this hateful slur against the welfare-dependent British underclass who are all — apart from Mr Philpott, obviously — unquestionably of excellent character and unimpeachable victimhood and who are deserving of every penny they manage to extract from the hard-pressed British taxpayer. But the trial took place at the same time as the Conservative-led government’s attempts to reform the welfare system, and what would once have been the outrage of Mr Philpott’s evil deed was converted by the Mail’s injudicious attempt at generalization into outrage at a slur against the many innocent welfare scroungers who, by and large, do not murder their families. The number of complaints from decent and responsible folk, including the decent and responsible media, calling for the Mail to be disciplined by the soon to be obsolete Press Complaints Commission suggests, however, that this kind of thing will not be going on for very much longer, not once the new arrangements are in place. For the purpose of these arrangements seems to be not so much to allow politicians to decide what shall be printed in the papers, since its mechanisms are probably too cumbersome for that, as it is to restrict entry into at least the most respectable — which is to say the commercial — area of journalism to those who are prepared to operate within a broad consensus about the new decency. This is a consensus which already exists in the U.S. and already has the power to restrict what it is possible to say or write for those of us who practice the journalistic trade, even though it be in such outlandish organs as The New Criterion. And what is true for journalists is increasingly true for politicians as well. During last year’s elections, conservatives of both kinds repeatedly discovered that they had been deemed to stand right on the edge, if not well over the line of public decency on issue after issue, from abortion and birth control to gay marriage to undue concern for public indebtedness at the expense of our own public welfare recipients. The debates that are a natural part of the democratic political process are thus becoming illegitimate because the consensus tends to see one side of them as illegitimate. On the editorial pages of The New York Times, if you oppose the government’s Keynesian attempts to spend its way out of debt, you are already a fool and a liar — besides being out of touch. One wonders how much longer it will be before the media speak with one voice in this matter, as they now do in so many others. The word decency, it’s true, is not often used, perhaps because of its old but lingering associations with the sort of middle-class respectability that so many of us wish to follow the punks in despising — not to mention what decus and decorum meant to the shockingly uncivilized ancient Romans. But something very much like decency is what some of us are suddenly finding the media have put us on the wrong side of, not only for opposing those gestures of right feeling which are now thought to be the raison d’etre of government but for any other act of heterodoxy which stands out too blatantly from the media consensus about what it is fitting and proper for members of the elite to believe. The British government’s regulation of the media therefore simply gives the British media, as eventually our government may have to give our media, a dose of the media’s own medicine. More than one commentator on the new measures has said that they can hardly be unrelated to the decimation of the political ranks, and in all parties, by the Daily Telegraph’s exposure of the MPs expenses scandal three or four years ago, for which they could be seen as a belated revenge by the political class against their media persecutors. I don’t wish to deny this possibility, even probability, but at the same I wonder if there isn’t also an element of reconciliation between government and media in the minds of the politicians who so nearly unanimously support the measure. The disreputable media are, in effect, being invited in to the circle of decency where the politicians already dwell, though the price of entry is that they must refrain in future from outraging this new style of public decency. By the way, here’s something that I didn’t know until I looked it up recently. "Outrage" doesn’t have anything to do with either "out" or "rage," though its English history has been influenced by both words. It comes from the Old French ultrage and ultimately ultre, or "beyond" plus the -age suffix signifying belonging. Hence: belonging to the beyond. Beyond what? Beyond, I think, that same, socially-determined sense of decency that elites naturally tend to draw up in order to distinguish themselves from those who lie outside, or beyond them. Membership in the elite is always a valuable property and so must be limited in some way. So long as the media seek elite status themselves, they will be happy to assist the political elite in acts of exclusion directed at those who may be supposed to inhabit the realms beyond. The new Royal Charter is, therefore, not so much a new reality as a reflection of an existing reality involving the accession of the media to the ruling classes. The clubbishness of this elite, after a period of estrangement between politics and media during the years of conservative ascendency, is now the token of their coming together. I wonder if anyone, apart from the despised conservatives themselves, will be outraged by that?